To create a class method, you should use the @classmethod decorator. This method can be called from the class directly, not from its instances, and accepts the class as a first argument (usually called cls, not self). 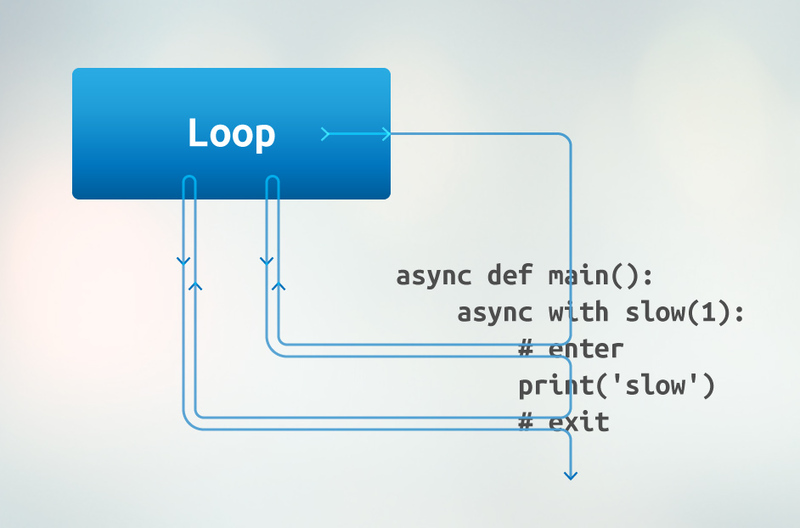 If you want a context manager to suspend coroutine on entering or exiting context, you should use asynchronous context managers. Instead of calling m.__enter__() and m.__exit__() Python does await m.__aenter__() and await m.__aexit__() respectively. For older versions, you could use @asyncio_extras.async_contextmanager. There is no ++ operator in Python, x += 1 is used instead. However, even ++x is still a valid syntax (but x++ is not).